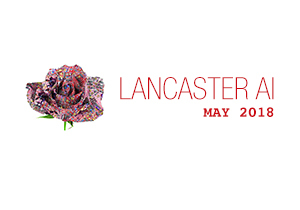 Welcome to the May 2018 Lancaster AI Meetup. This month we’re switching venues to the Candy Factory in Lancaster, PA, and can’t wait to see you there! Ever wonder how you could track cool things like someone’s body in space as they moved like the Microsoft Kinect? Join us as we take a look at Tensorflow libraries that can do this for free, and learn how you might utilize them in your project. Our goal is to show the working system running remotely as well as locally on a Macbook.